USA, Hong Kong SAR, the Peoples Republic of China, Republic of Singapore. This is a worldwide unique system with a pending patent on the sensor. 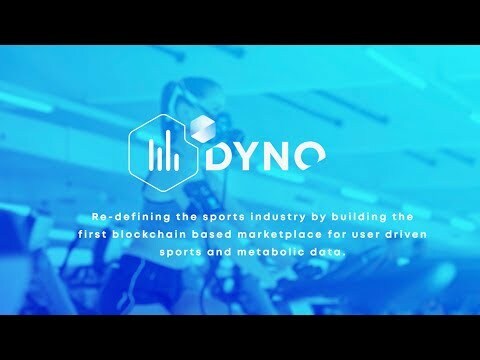 DYNOSTICS® is constantly working on additional body analyzing devices to become the world leader in smart body analytics. There is no business plan about the sensor and his impact on the market. The team needs more experience on fundraising and blockchain projects. I dont know how the investor can get roi, the sensor should be a standard on the market to get results. I love the vision, as sportsman and sports businessman I can understand the potential of DYNO, but vision doesnt assure results. Rate improved after team response. The tokenomics is also well structured and when the business plan is duly executed, the value of tokens will be well supported. The team is also robust with professionals in relevant fields. Metabolism Analysis based on breathing gases surely has potential. Today's analysis models are much more expensive and need more effort than Dyno. Although a Blockchain approach is not really needed, this Token might become valuable by leveraging the generated data. As rightly said that "Health is Wealth", I am sure the future is bright for companies venturing into space. An ICO from existing company with existing product line is always beneficial but integrating blockchain data into the line can be challenging. Based on backing from strong team having an entrepreneurial experience and debt free books, i will give this company thumb up but KYC part is missing, which has to be addressed by the team. Token economics has been worked out carefully. Token burn mechanism can reduce the circulating supply post mass adoption and can thus boost token value for investors. We completely align with the GDPR - even more: blockchain gives us the possibility to ensure a users its right to be forgotten as well to automatically implement time frames that are defined within the GDPR of how long private data is allowed to be saved. But even more, our data structure is way ahead of GDPR making the data more secure since personal data, user meta data and user metabolic data are stored separately. So blockchain ensures us to secure a users rights and it is not needed to ensure the quality of the data like you assume - so it will not help medical researches by giving them the quality itself, this is assured thru our device and a user KYC itself, but it will make it possible for the first time to make this kind of data even accessible to medical researchers cause due to privacy issues in Europe and especially in Germany this kind of data never was accessible for them in a broad scale. The team lack blockchain expertise. The hardware, itself, is a good product however the use of blockchain and a token is not mass market. The use case is far too specific for a singular device and is unlikely to gather mass adoption as per the current vision. This means that the number of users of this particular blockchain will have plenty of acquisition probelms considering there are plenty of data exchange and IoT products and other health tracking IoT devices out there. "The team lack blockchain expertise." —> The lack of blockchain experience may be an issue that could be looked at closer, but hence this still is quite a young sector the teams that only have highly skilled members are really rare or simply don’t tell the truth. We have two leading software engineers that have proficient experience within the blockchain industry as well as team members and advisory that have very good knowledge and experience, so we do think that this rating is not justified. "However the use of blockchain and a token is not mass market. The use case is far too specific for a singular device and is unlikely to gather mass adoption as per the current vision." —> Well, it depends on how you see the market and understand the product. If you think that people that somehow want to change their nutrition habits, life a healthier life style, have weight problems and want to loose weight or have any other problems with nutrition and fitness or just want to start doing sport the right way are all a small niche than you are probably right. From our point of view all those people are within our target group and are one of the biggest target group within the age of 14 to 60 that a product can address and change their lives, so we think that this point could be re-thought. "…there are plenty of data exchange and IoT products and other health tracking IoT devices"
—> Yes, there are. But first of all none of them is or will be able (in the near future) to produce the analytical data we produce and that is needed on the market and second, we are building the marketplace / profiles open source, so all other IoT / data-producing devices can add their data to our product. But hence we are producing by far the most valuable and sensitive data with our device we definitely think that we should have a saying in who is building the marketplace and how the data of our customers should be secured.